Need some help getting your Sports Club "OnLine"? Well it all started a few years ago when I took over the running of the Squash Section at my local sports club. Having operating manual booking sheets for the courts for probably 50 years and also having looked at "expensive" IT systems as alternatives, I took on the challenge of seeing if there was a way. From this, it has developed and I have discovered some really great, low cost solutions for our clubs. First a little background. I am farily good with IT Software and can get to grips with software quite quickly, see how it works, what can and can't be done and also recognising how less IT literate people can use it. Our sports club has sections for Cricket, Hockey, Rugby, Squash and Tennis as well as a decent social side and Fitness Room. We needed to revamp our website and move with the times. You can probably see the trend above, that the solutions have been low cost. This is important to us, but also ease of use. I have found most systems come with set up services and similar additional costs. In general we have fairly complex requirements with a mix of sports and a fairly active diary. So in giving my time and effort, I have helped the process and keep the costs low by doing all the background work and then giving the Easy Steps To Follow, to colleagues so they can crack on and use the systems. So What Could This Mean For You? Having done all this work and effort I am keen to help others save time and money and share our experiences. Where relevant, even help with setting things up and get going. Whether your club finds it difficult to update their website, or wants to manage their members better, I may be able to help and provide a Fast Track to a solution that fits. 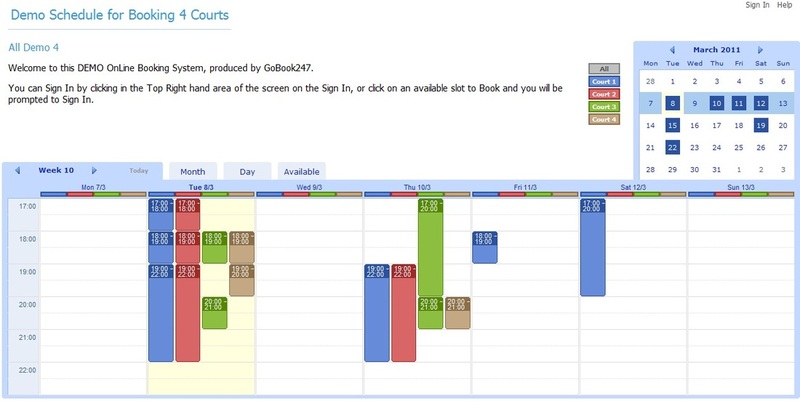 If you have ever wanted to empower YOUR club with an easy and cost effective OnLine Court Booking System, then why not give it a try? We did and it was so successful we wanted to share our experiences. My local club is Farnham Common Sports Club, where we have had a long standing Squash Club with 2 courts. We have about 75-100 members and run a Men's and Women's Team in the local Bucks League as well as 6 Internal Leagues, Junior Coaching and regular "Open Tournaments". We are certainly not a big club, but we have a great tradition and good social atmosphere. After decades of running a paper chart and sticker system, we wanted to see if we could afford to take things further and in doing so help our members access court bookings more readily. Click Here to send an enquiry to find out more!!! We first looked at systems in the 1990's and found that the costs were just prohibitive. But this was revisited in 2011 and we found we could setup a very easy OnLine Booking system, completely hosted online with minimal adminstration for about £10 per month. This was something we just could not ignore. You can even have a go for FREE. Happy to discuss how we can setup an OnLine System for YOUR CLUB for FREE for a trial 30 days. You can send an enquiry by clicking on the Enquiry Button. For more information go to HOW CAN I HELP or click on the links below to go direct to the various websites for the systems and services I recommend!!! Web site hosting and design tools, Free to start! Online Booking Systems, free to start! Member management, court bookings, leagues and more! Low Cost Direct Debit payments, links to Club Buzz for members subs and fees! Online Membership to run teams, manage subscriptions and fees. 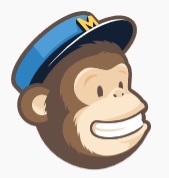 Mailchimp a great and easy way to send e-mailshots, free to start!